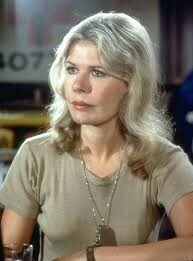 If you’re not of a certain age you won’t remember that Loretta Swit played “Hot Lips” Houlihan on M*A*S*H*. So, if you’re not of a certain age, go watch some episodes on YouTube and then come back and read this because it’s a fun tale for those of us who often struggled to maintain journalistic values in the face of management’s idea of television news. In the summer of 1973, WCAU-TV’s General Manager, Gordon French, invited the reporters to join the advertisers and a bunch of actors from M*A*S*H* at a soiree complete with Lionel Hampton on xylophone, some speeches about how great the new TV season would be, and a pretty good dinner. And I have to admit it was fun to sit at a table with people like Loretta Swit and the late William Christopher, who played Father Mulcahy on the show. CBS always had very strict policies about mixing news and sponsors. In fact, a few years earlier, when I was writing a story about how then Philadelphia District Attorney Arlen Spector cited a number of supermarkets in the area with health code violations, a sales guy walked into the newsroom asking who was working on the story. I said I was, and he pointed out that one of the supermarket chains threatened to pull all their ads off the station if we ran the story. I introduced this salesman to our news director, Barry Nemcoff, who promptly alerted him to company policy prohibiting crossing the lines of news and sales. The sales guy complained to the general manager. But policy prevailed and, in fact, the sales guy was fired. Those times are long past in television news today. It seemed they were on the way out at the M*A*S*H* dinner in 1973 too. It was one of many reasons I ended my television journalism career in May of 1974. One of the key policies at CBS that resulted from the Chicago democratic convention riots in 1968, was a solid affirmation that, as journalists, we must never, ever stage an event, or direct people to perform in front of the camera. So the next day, after the M*A*S*H* dinner, when I was assigned to cover Loretta Swit’s visit to the Army’s Valley Forge Hospital (where wounded Vietnam vets were being treated) I had the policy slapped in my face. Ms. Swit, while an excellent actress, had no real idea how to behave with the wounded soldiers. She saw our news film camera and said, “tell me where you want me to stand and what to say.” Uhhh…hmmmm, but..uhhh.” I tried to explain CBS policy, but from her point of view, I was simply part of a of promotional team. “Well,” I said, “what would you normally do when visiting wounded soldiers?” She looked a bit startled. I guess it wasn’t something she normally did. So, I finally explained all we could do was follow her and she’d have to figure out what to do. She was NOT pleased, but ultimately did her best to greet some very grateful soldiers. I watch the constant self-promotion of programs and personalities on so-called news broadcasts today and realize those policies we cherished in the early 1970’s are no longer relevant. The question that raises, of course, is this. Is local television news journalism? In a lot of cases it’s not.